The ASCE Board of Direction focused its July meeting on making the value of Society membership even more relevant to the needs of today’s engineers. That member value might take the form of building and sustaining new and ongoing ASCE programs and benefits. It might mean developing new ideas to help ASCE members and the profession. 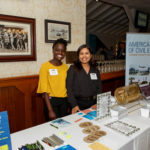 And it could mean better engaging and connecting members from across ASCE. Sarah Sladek, an author and consultant who specializes in strategies for engaging Generation X, millennials, and iGen, led a Board discussion on how ASCE can better engage younger members. Millennials, Sladek noted, now rank as the largest generation in the U.S. workforce. For further insights on member value, the Board tapped a cross-section of groups from around the Society that don’t report regularly to the Board. Representatives from the Committee on Diversity and Inclusion, Member Communities, Public Policy Committee, and the Construction Institute made presentations to the Board on ways they have increased member value and areas they see where work still needs to be done. Four Region directors, each representing a unique composition, talked with the Board as well about boosting member value from a geographic region perspective. The hope is that the Board meeting isn’t an end but actually just the start of the conversation. 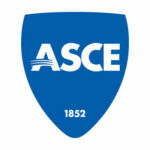 The Board established a private discussion forum on ASCE Collaborate for Board members to continue brainstorming ideas. 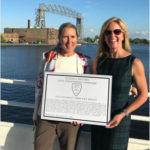 “It really highlights our focus on our membership, ensuring that we have an active, engaged, growing membership in order to achieve all of the other aspects of our strategic plan,” Swallow said. • The Board approved an operating budget for fiscal year 2019 for the Society and its affiliates. • The Board approved the recommendations of the Task Committee on Raise the Bar Rebranding as ASCE continues to hone its messaging and strategy around issues of education, licensure and continued professional development. • Jim Newsome III, president and CEO of South Carolina Ports Authority, gave a presentation to the Board about how his organization is committed to sustainability and resilience concepts. • The Board approved new policy statements from the Public Policy Committee, involving engineering research, visas and national security, state support for higher education, and owners’ commitment to sustainability, while revising and reaffirming 55 other statements. • The Board approved the nominations of President-Elect Robin Kemper for service on ASCE committees, roles that will take effect at the 2018 Annual Business Meeting in Denver this fall. Learn more about serving on an ASCE committee.